When the Vatican announced the impending canonization of Blessed Pope John Paul II last fall, many were thrilled. Many were disappointed. Few were surprised. It was always seen as a matter of when, not if, John Paul Two would get the official halo. John Paul II will share a canonization ceremony with Blessed Pope John XXIII on Sunday, April 27. Orthodox Catholics will likely ratchet up to a fever pitch their adulation for the man they call “John Paul the Great” and maybe make a few comments about John XXIII. On the progressive side, we can expect effusive praise heaped upon Good Pope John for creating the Second Vatican Council and lamentation of John Paul II’s (as we see it) demolition of it. I say we take a step back from the battle lines and offer our admiration of both. One of the problems in American Catholicism today is that it is mirroring the bipolar nature of our political culture. Take a look at the letters to the editor of St. Anthony Messenger. After a feature ran last June about NETWORK executive director Sr. Simone Campbell, S.S.S., readers barraged the mailbox, condemning the magazine for interviewing a woman who spoke at the Democratic National Convention. When Fox News pundit Bill O’Reilly got his turn to have a cover story the next month, the letters questioned the publication’s judgment in bringing in a conservative stooge. Only a few Catholic leaders (Jesuit Fr. James Martin comes to mind) are able to navigate the middle ground, and even they get angry messages from time to time. But a look at the yin-yang character of the people of Christian history shows that such generalizations cause us to miss out on the big picture. For all of St. Francis of Assisi’s care for the poor, attempts to end the Crusades and establishment of Catholicism’s most popular family of orders, the Great Saint would at times be arrogant and bossy. It was his recognition of his sinful shortcomings that was a key to his holiness. On the other hand, Pope Innocent III is best known for ordering a Crusade and declaring his temporal authority over the kings of Europe. But he saw the value in granting permission to an Italian in a dingy robe named Francesco to start an order of poor friars. If it was not for Innocent’s recognition of the Christlike nature of St. Francis’ movement, we would not have seen the establishment of Catholicism’s most popular family of orders. In other words, it is not helpful to have our lists of good guys and bad guys. And Blessed John Paul II did plenty of good. It is time that we stop focusing solely on what he did to the Church and recognize what he did for the world. Pope John Paul II took world traveling—which was a novelty under his predecessor, Paul VI—and made it into an expectation for popes to come. 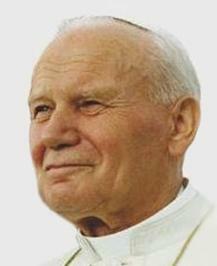 Pope John Paul II played no small role in inspiring the Solidarity movement in Poland, which helped to end communist rule there and was even a factor in the demise of the Cold War. Pope John Paul II advanced the Church’s role in the world of science, through his fine-tuning of Church teachings on evolution and his support of the Vatican Observatory. Pope John Paul II was the first to tie environmentalism to the Gospel as a priority. He set the stage for his successor, Pope Emeritus Benedict XVI, to take the ball and run with it. Now we are anticipating an encyclical from Pope Francis. Pope John Paul II issued so many apologies for past wrongs of the institutional Church, Wikipedia has a page listing them. I know this tack will rankle some, especially those whose ministries were hurt by the papacy of John Paul II. And by no means am I suggesting that he should be above historiographical criticism. However, even if we choose not to honor him, we should at least forgive him. As long as we continue to spar with the ghosts of the Church, we will not be able to attend to the Church’s needs today. This entry was posted in News & Media, Peace & Justice by Dave Montrose. Bookmark the permalink.